Typically, when Apple sets out to develop new products, they build a few prototypes to choose from for the shipping product. This is evident most recently through a report that claims Apple is currently toying with three different iPhone 5 prototypes. Apple also does this with its Mac hardware. Looking at the Pro Mac design evolution, it is interesting to note that the Mac Pro’s current design first hit the market in the form of the Power Mac G5 in mid-2003. 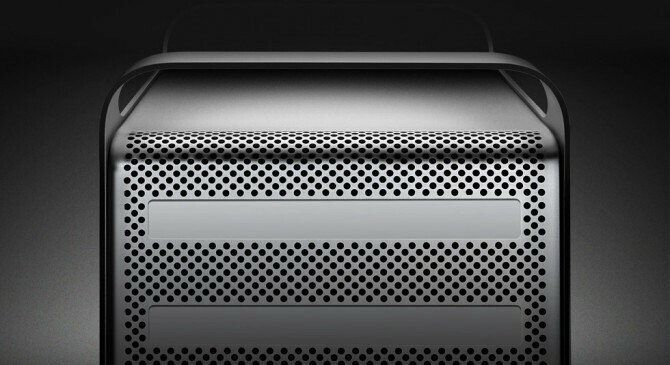 Nearly eight years after the Mac Pro’s current design debuted, Apple is toying with a re-designed version of the product. The new design is said to be narrower at just over 5-inches and a few inches shorter at around 19-inches. One of the reasons that Apple might be making this particular Mac Pro prototype smaller is because it is able to fit on to a standard server rack. This possible new design could alleviate some of the system administrator distress caused by Apple’s discontinuation of the Xserve. The new machine is said to carry “stacked” drives with two drives per sled which will allow a higher drive density than what’s already out there. These stacks are not only built for conventional hard drives, but faster, more reliable SSDs in different configurations. The width of this system configuration is said to be 3U (U = 1.75 inches). Beyond what we’ve heard, it would seem appropriate that these new Mac Pros would also have a Thunderbolt port and perhaps even BluRay options for the Final Cut Professionals. With the new version of Final Cut Pro coming in June, we can’t think of a better time for Apple to update the 8-year old design of the Mac Pro (and the iMac! ).